Duality Pro-Station is a version of Duality that offers an alternative centre section layout. 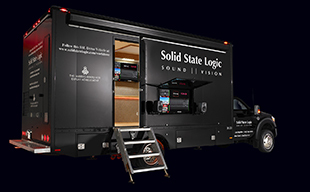 Functionally Pro-Station offers all of the same features and benefits as a standard Duality. The winged layout of the Pro-Station is designed to serve producers and engineers who wish to conduct their DAW session editing/arrangement and audio mixing from a single central position. 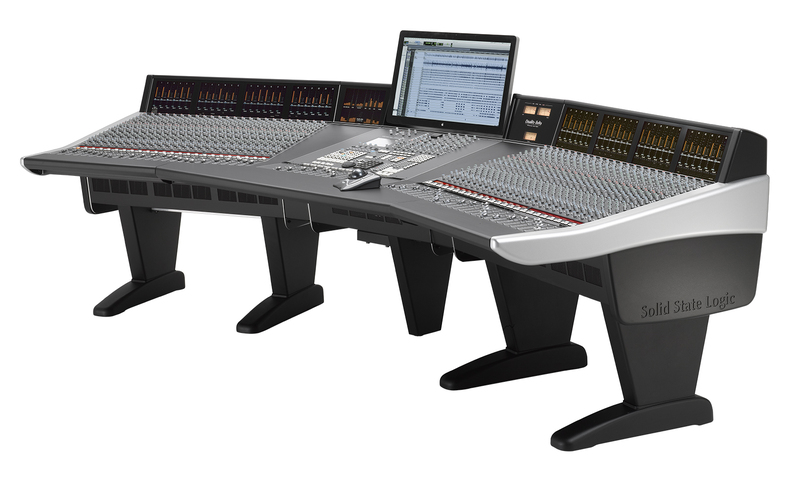 In many studios a separate dedicated DAW station is located adjacent to the console and the task of operating the DAW for editing and arrangement is separated from the audio mixing process. Duality Pro-station will appeal to producers and engineers who like hands-on DAW operation that combines the recording, editing, arrangement and mixing processes. The shape of the Pro-Station was developed to enable the console centre section to accommodate a 27" Apple Cinema Display. The display is mounted on an articulated gas lift arm, which enables it to be pulled forward towards the operator, when desired. The result is that the central operating position can resemble a more traditional computer operating configuration for more intensive arrangement and editing work. The screen can then be pushed back out of the way and back out of the sweet spot sound field for mixing.